Morgan & Mallet Nannies serve families who look for experienced and trained nannies, governesses, tutors, maternity nurses, and babysitters. It is essential for families to hire a professional and qualified person able to start in the position immediately, and who does not require prior training. 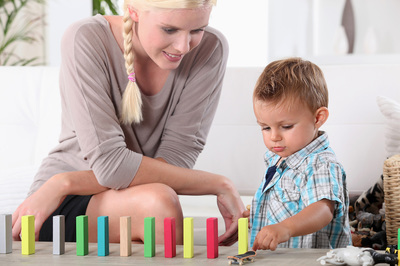 ​The responsibilities of childcare specialists are numerous and their importance cannot be overrated. The families must be sure that they entrust their children to competent and verified people who are used to working in a private family setting. Our consultants thoroughly check the skills, abilities and experience of the candidates for each childcare post, taking into consideration the criteria and characteristics offered by the family. ​Morgan & Mallet Nannies only register those candidates who have at least three years experience in working as childcare nannies for private families. Morgan & Mallet Nannies use a rigorous and personalised method for each recruitment. The position description is prepared according to your precise needs and expectations. It is important to define the profile sought and the tasks and responsibilities of the future employee. We encourage the employer to provide us with as many details as possible in order to introduce candidates in perfect harmony with your requirements. After defining the job description, we begin recruitment and candidate search. We have approximately 5000 candidates registered in each of our offices around the world. Primarily, we search among the candidates registered with our offices. We register hundreds of new experienced candidates wishing to join Morgan & Mallet agencies on a daily basis. We contact and pre-select those candidates in order to organise interviews and identify their skills and abilities for the position sought. The first interview allows the consultant to meet the candidate and understand the applicant’s career goals and expectations. During this first interview, we discuss each position, the number of children cared for, duties and responsibilities, as well as the reason for leaving prior employment. We also ask the candidate about the hygiene and safety rules which should be followed both inside and outside the home. Linquistic tests are done to determine the language level of the candidate and whether he or she is monolingual, bilingual or trilingual. The candidate takes an additional test on children’s safety and hygiene. The second interview is conducted by another consultant who aims to understand the psychology and character of the candidate, as well as his / her compatibility with the family of the employer. ​The second step is fundamental as the consultant analysises the profile of the candidate and whether he or she is discreet, flexible and able to adapt to the lifestyle of a private family. (Each candidate previously submitted his / her documents in order to be registered with our agency). Each file is reviewed thoroughly. The validity of identity documents and driving licenses are confirmed. An analisis of the work certificates or P60 and their authenticity are confirmed. Three previous employers of the candidate are contacted in accordance with the work certificates / P60 certificates provided. This step allows us to trace the information provided by the candidate in his /her CV, as well as the candidate’s performance (the role, duties, responsibilities, period of employment and reason for leaving the position). Former employers are asked about the capabilities and skills of the candidate and whether they would recommend the candidate to future employers. The criminal record certificate should be a minimum of 3 months old. Candidates who have submitted all their files fully respecting the recruitment process, and have positive references from previous employers will be considered. Once the consultants have selected suitable candidates, they introduce the most relevant CVs with detailed professional background of each candidate. We also provide families with our impressions and comments from the interviews and how we feel about the candidate. After the CVs have been reviewed by the family and discussed with the consultant, an interview is arranged with the candidate that the family would like to meet. The interviews are scheduled in accordance with the availability of the family and the candidate and confirmations of appointments are made via email. Following each interview, the consultant in charge of the recruitment will contact you to follow up and receive your feedback. The consultant will ask your opinion about the candidates interviewed by you and discuss the actions to be taken thereafter. Once you have selected the preferred candidate, we will coordinate the date and arrival of the candidate for further discussion. During the first month of employment, the consultant will regularly contact you to discuss the performance of the candidate and how you feel about him or her. The candidate will also be contacted by the consultant to make sure that he /she feels comfortable in the new position. The consultant in charge of your recruitment will be your point of contact and always remain at your disposal. He / she will keep in touch with the candidate and if necessary take appropriate actions to ensure harmony between the candidate and the family.